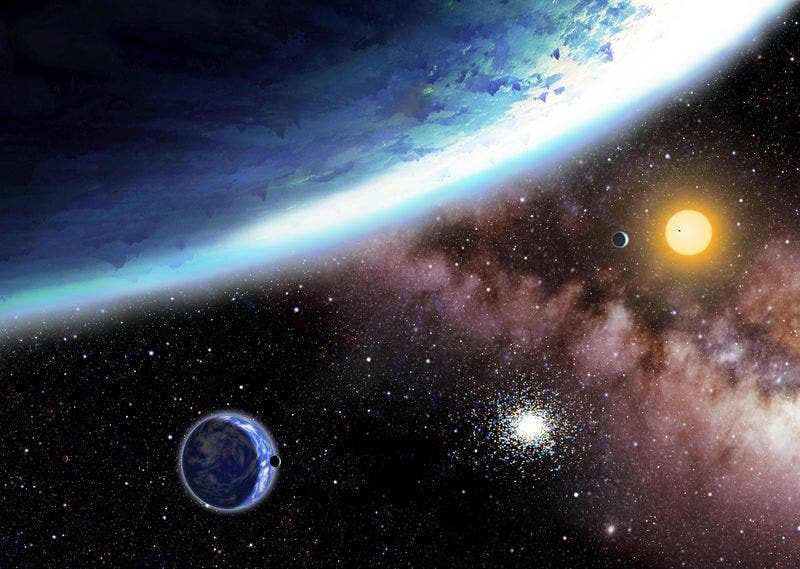 Astronomers discovered a “Water World” planetary system this past April orbiting the star Kepler-62. This five-planet system has two worlds in the habitable zone — the distance from their star at which they receive enough light and warmth that liquid water could theoretically exist on their surfaces. 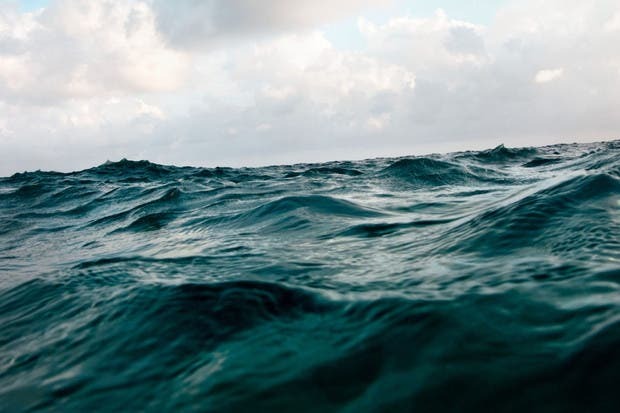 Modeling by researchers at the Harvard-Smithsonian Center for Astrophysics (CfA) suggests that both planets are water worlds, their surfaces completely covered by a global ocean with no land in sight. Kepler-62 is a type K star slightly smaller and cooler than our sun. The two water worlds, designated Kepler-62e and -62f, orbit the star every 122 and 267 days, respectively. They were found by NASA’s Kepler spacecraft, which detects planets that transit, or cross the face of, their host star. Measuring a transit tells astronomers the size of the planet relative to its star. The star system is illustrated below (CfA).